Attracting birds is simple! Provide food, shelter & water. 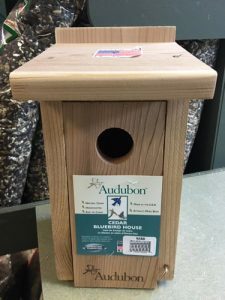 Bluebirds begin to look for nests in January, so be sure your bird houses are cleaned & ready. 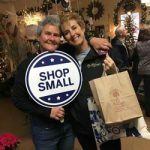 Carol Stein suggests these plants to provide summer food for blues: Russian Olive, white or red mulberry, flowering crabapple, blueberries, black cherry, serviceberry, viburnums, and of course, dogwoods. Plants that provide winter food include: American holly, Virginia Creeper, High-bush cranberry, dogwoods, Cotoneaster, Sumac, Pyracantha, Spicebush, Inkberry holly, and Bittersweet. 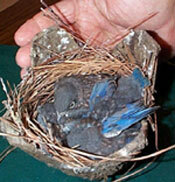 For more info on nesting, visit the North Carolina Bluebird Society. Monitor boxes once a week during spring and summer. Make noise as you approach the box and tap on its side. Adults will likely leave the nest and the babies will huddle down. If the female stays in the nest, close the box and return later. Stand to the side of the box away from the entrance hole and open the box slowly and carefully. Be prepared for insects or snakes. Record the number of eggs or nestlings and the date. Do NOT open boxes once the babies are 14 days old as this could cause premature fledging. A few days after all the young have fledged, remove old nest so the parent birds can build again. 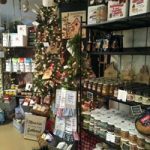 We carry birdhouses, nesting cups, feeders, seed, suet and other yummies, and birdbaths.